Your gift to the Cedar Valley Preschool and Child Care Center Endowment Fund with the Community Foundation of Northeast Iowa will benefit the charitable activities of the Cedar Valley Preschool and Child Care Center.About Cedar Valley Preschool and Child CareCedar Valley Preschool and Child Care Center is a 4-Star learning center and offers the most diverse indoor/outdoor learning environment in the Cedar Valley. Our mission is to provide structured curriculum of developmentally appropriate activities, which aim at the positive growth and development of each individual child socially, emotionally, physically, and intellectually. This mission drives our work, and for nearly 50 years we have been a trusted leader in supporting children and their families.Your Gift Will Keep on GivingBecause the Cedar Valley Preschool and Child Care Center Endowment Fund is a permanent fund with the Community Foundation, the donated dollars are invested, and only the income from the fund is granted out. Your contribution will help carry out the mission of the Cedar Valley Preschool and Child Care Center now, and forever.  To learn more about this fund, contact the Community Foundation.Added Tax Benefits of GivingThis fund is eligible for the Endow Iowa 25% state tax credit. Gifts to permanent endowment funds of the Community Foundation that benefit Iowa charitable causes are eligible to receive a 25% state tax credit through the Endow Iowa program. Your gift will also be eligible for federal deductions for charitable giving. Go to cfneia.org/endowiowa for more information.To help us reach our $100,000 goal, the Community Foundation of Northeast Iowa will contribute an $10,000 to the fund when it reaches $90,000 in gifts. Robert (Bob) Anderson was passionate about falconry and restoring the peregrine falcon to the bluffs of the Mississippi River. His passion and dedication attracted the attention of many to the cause and he founded the Raptor Resource Project (RRP) in 1988. Bob’s passion for scientific research and raptors spilled out to everyone around him, including children and teachers. Eagle research and filming in Decorah, Iowa led to the establishment of the world-famous Decorah Eagle camera that reaches millions of naturalists and students today.This scholarship fund is presented through the Winneshiek County Community Foundation and RRP. The endowment fund will award scholarships to selected Luther College students in Decorah, Iowa and is designed to receive gifts through contributions, bequests, charitable trust remainders, and other gifts directed to the Fund. Students will be selected on criteria including demonstrated concern for the environment through positive environmental activism and community involvement or independent studies related to environmentalism.Gifts to the Robert Anderson Memorial Scholarship Fund may be eligible for the Endow Iowa 25% state tax credit. This tax incentive is only available to Iowa residents. Click here to read more about Bob Anderson and his legacy. Your gift to the African American Historical and Cultural Museum Fund with the Community Foundation of Northeast Iowa will help the African American Historical and Cultural Museum continue their mission to promote greater knowledge of the African American community in the Cedar Valley through the collection, preservation, and interpretation of the historical past. Your gift to the African American Historical and Cultural Museum Outdoor Entertainment Fund with the Community Foundation of Northeast Iowa will help the African American Historical and Cultural Museum build an outdoor structure to hold music, entertainment and community events. Your gift to the African American Historical and Cultural Museum Parking Lot Fund with the Community Foundation of Northeast Iowa will support the completion of a parking lot construction project for the African American Historical Museum Outdoor Entertainment Center. Your gift to the Ackley Community Impact Fund with the Ackley Community Foundation allows us to continually respond to the current and unique needs of the community of Ackley. By making this gift, you give us flexibility to fund charitable programs and projects in the community to explore the arts and celebrate diversity, support healthy lifestyles, protect natural resources, educate future generations, preserve the past, build hope for tomorrow, ensure a safe place to live, and improve the quality of life for all.